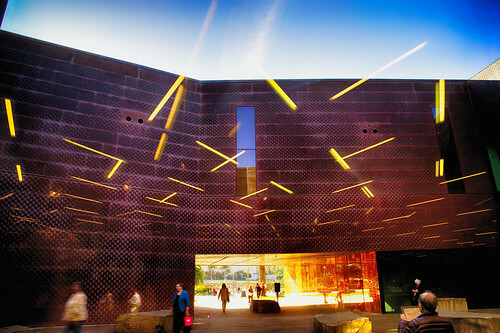 Entrance to the de Young Museum, San Francisco. Lately I’ve been pushing what HDR photos can look like into unknown (at least to me) surrealist reality but without the usual HDR feel. In this photo I left in some of the HDR processing artifacts. Look for the repeated star on the Macy’s bag. This entry was posted in Abstract, Art on March 30, 2014 by eric.